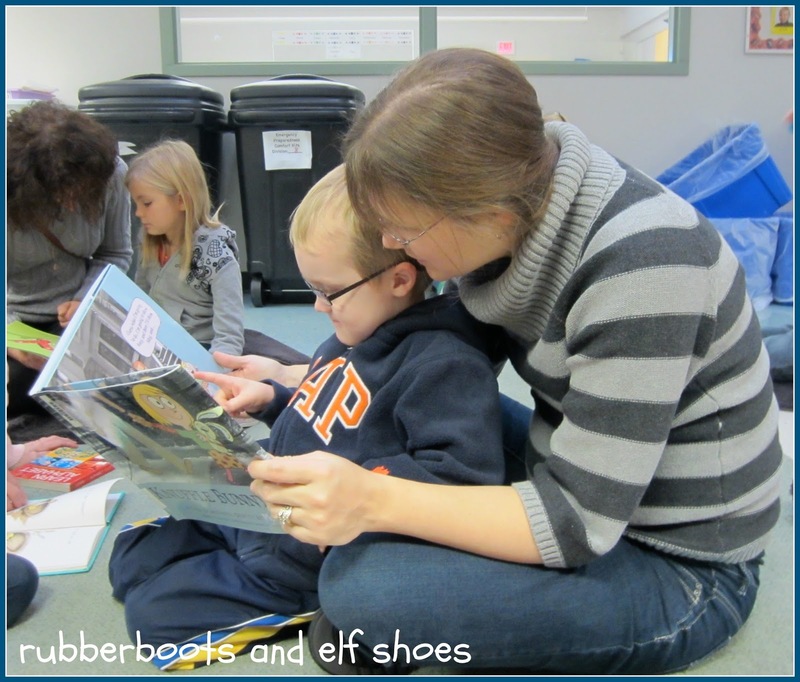 Earlier this week I posted my kindergarten readiness wish list (along with my friend, pre-school teacher and blogger-with-fabulous-ideas Mary Catherine from Fun-A-Day). Today it's the parents' turn. 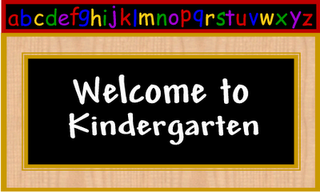 A couple more weeks - and a new group of kindergarten kidlets and their parents will come through the classroom door. New kidlets to love, and new parents to partner with. Here's a few things I would like my new parent-partners to know. 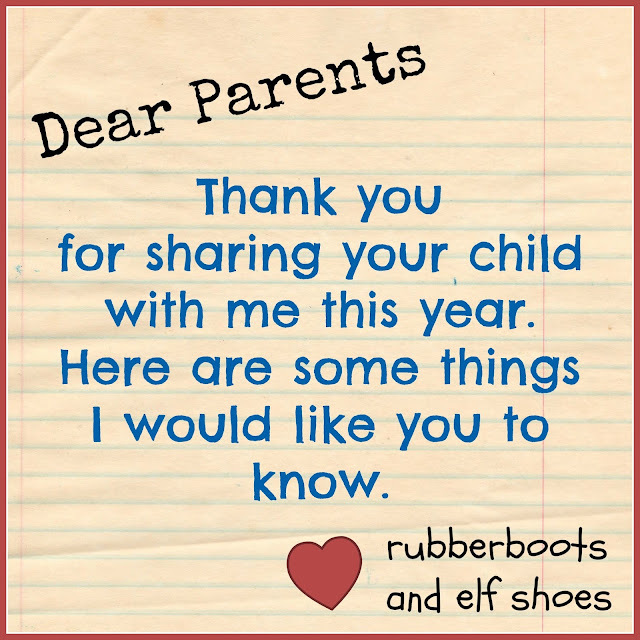 • Thank you for sharing your child with me this year. Parents are the child's first and most important teacher. I want to support you in that role. • Your kid is an amazing human being. I look forward to getting to know him/her. I know we will like each other. I want your child to learn and grow. I will provide lots of different ways for your child to discover and explore. • Your kid is incredibly capable. I will support your child's independence. • I will celebrate your child's achievements. • The classroom is for the children. Children learn through play. This class room is designed for play. 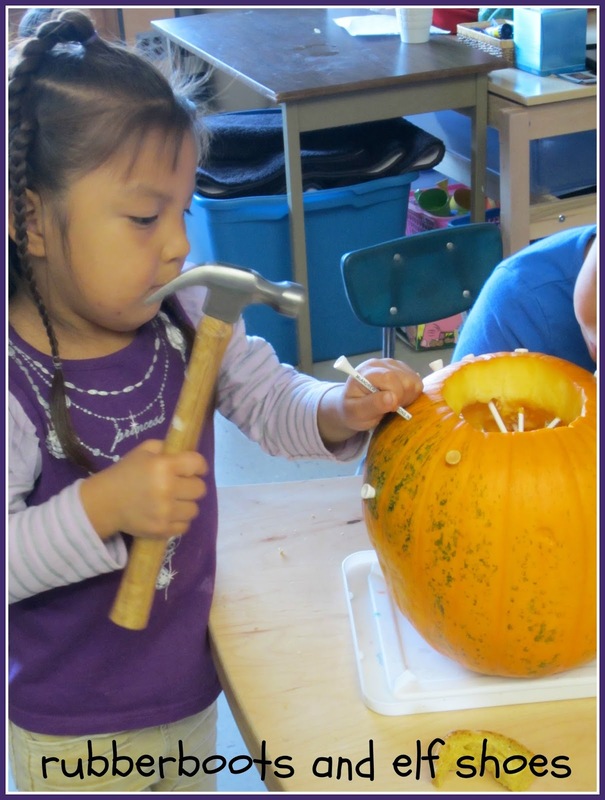 • In our classroom, we are all teachers and we are all learners. We are allowed to make mistakes. We try. We try again. We try together. • We dance. We sing. We observe. We create. We laugh. We are thankful. We pretend. We wiggle. We celebrate. We explore. We ask questions. We take deep breaths. We have fun. • We go outside. Every day. Unless the rain is horizontal. Rain gear is essential. So is a change of clothes. 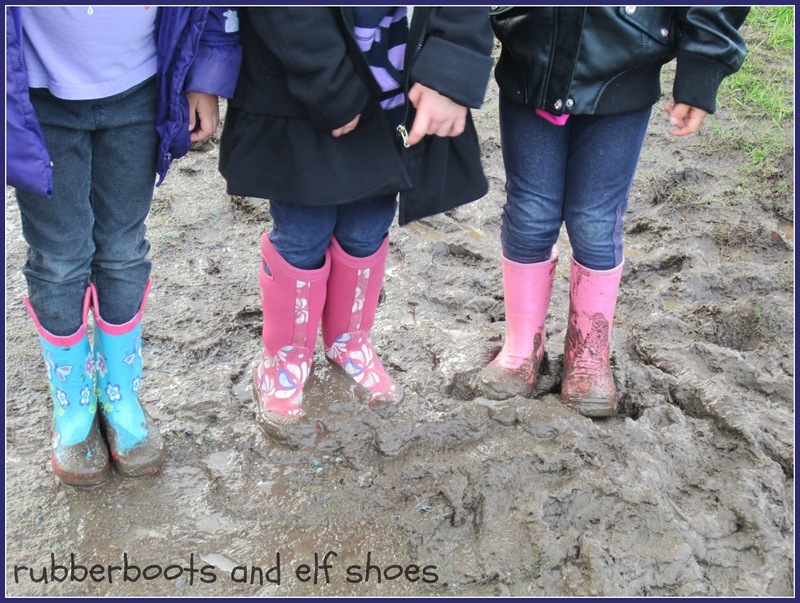 (School clothes need to be play clothes - sometimes we get messy). • Hugs (or handshakes or high fives) are always available. • Germs are a fact of life in kindergarten. We cough and sneeze into our elbows. We wash our hands. And we still share germs. The best defence is a healthy offence; good, healthy food and lots of sleep. • Let's communicate. I will share your child's discoveries, achievements, struggles and successes with you. You are always welcome to spend time in the classroom, drop in after school to chat, email me or phone. 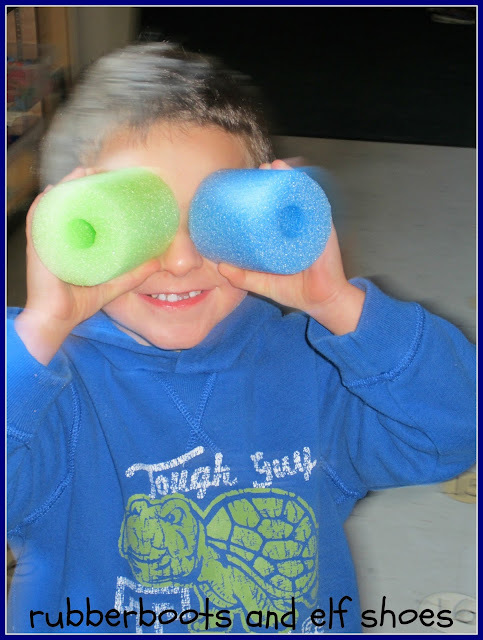 Please like our class facebook page; it's a great way to see what your child is doing in kindergarten. • I'm not perfect, but I do my best. • And I really, really will like your kid - I'll like all the kids. That's a promise. 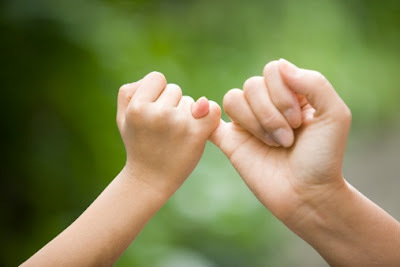 Pinky swear. I love this.........how precious. Will modify to use........thanks for sharing. Thanks for sharing this gem. It has given me inspiration for the annual school magazine article that I need to write. Bet you weren't expecting that reply! Have a great weekend and again thanks. That's awesome. I love how social media spreads ideas around. This post was inspired by a k teacher from Texas, Matt Gomez, last year and has been used and changed and tweaked by people. And sometimes I get to benefit from their thinking. It's a wonderful cycle. Sandi, this is such a touching letter. What a wonderfully genuine teacher you are. I agree whole-heartedly with your comments about germs and germ-sharing, the importance of play (and getting messy), and how we are ALL learning and many times less than perfect. Thank you for sharing, and for putting it all so beautifully into words! Thanks, Jackie. I want my kidlets' parents to know that school is not "taking their child away" but having a new partner join them. I am a new member on their child's team. This is wonderful, Sandi! I bet your kidlets' parents are so thrilled to see a letter like this. I know I would be! OMG - This is a wonderful letter to the parents!! What a way to break the ice!With your permission, of course, I will be using (but tweaking) this letter to my parents. OMG! What a wonderful letter to the parents. What a way to break the ice prior to the first day! With your permission, of course, I would love to use (edit) this letter for my parents!